None: you don’t even have to be a sailor! The successful student will be able to safely navigate a sailing vessel in coastal or inland waters without the aid of GPS, radar or anything else that requires electricity. You’ll learn chart interpretation, be able to chart a course, find a position, take visual fixes, anticipate tidal fluctuation, understand ocean currents and plan extensive cruises. 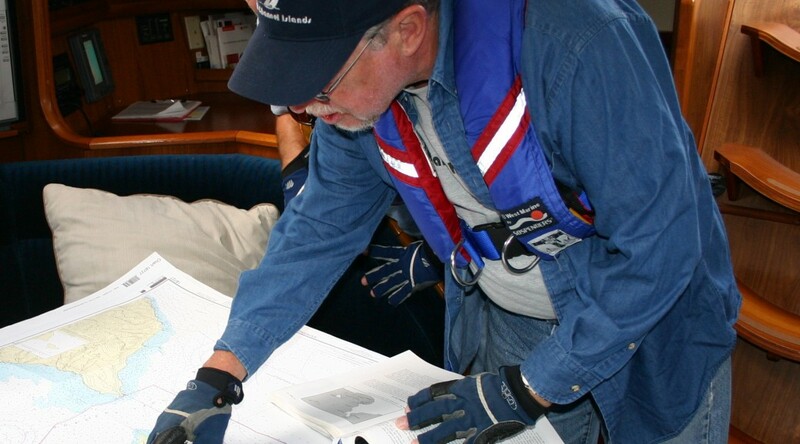 These skills are prerequisites for Intermediate Coastal Cruising, where you will learn to use radar, GPS, chartplotter, SPOT and other electronic aids. Fees: $1200, additional person $500. All necessary navigation tools and publications are provided and are yours to keep.